I bought a RuiDeng TC64 USB Type-C Power Monitor for myself, out of curiosity. I wasn't quite sure if it would be good for the things I do, it not being able to trigger any protocols or PD stuff itself, but it has proven its worth to me over the past few days when working on new videos. Let's take a look at it in this video. This Rui Deng TC64 is a welcome addition to the UPM arsenal, this being my first full Type-C UPM. I like it a lot, even if it's not that extensive in function. It'll still come in very handy for the stuff I do in my videos. It's a basic but nice UPM, with an equally nice price so you don't have to break the bank if you want to do some basic Type-C power testing. Great ! I just ordered it. RevSpace has one and I think it's useless since it measures in only 1 direction, which in many cases is the wrong one. It does display the right voltage, but 0.000A. Here's a photo of the problem, with a Satechi meter that does understand both directions. That Satechi is about 3 times the price, so I'd understand RD choosing for a single direction. It may be useless to you, but it has helped a lot when charging Type-C stuff with a Type- charger. A new model (TC66) should be on the way, possibly that works both directions. Yes, the Satechi one is kinda overpriced (but they were the first). It's just there to show what's actually happening. Judging from the printing on the case and info on the screen this will indicate direction of current flow. I've been promised a review unit by RD as soon as the firmware's out of beta. Stopped watching due to music. Thanks for the effort though. 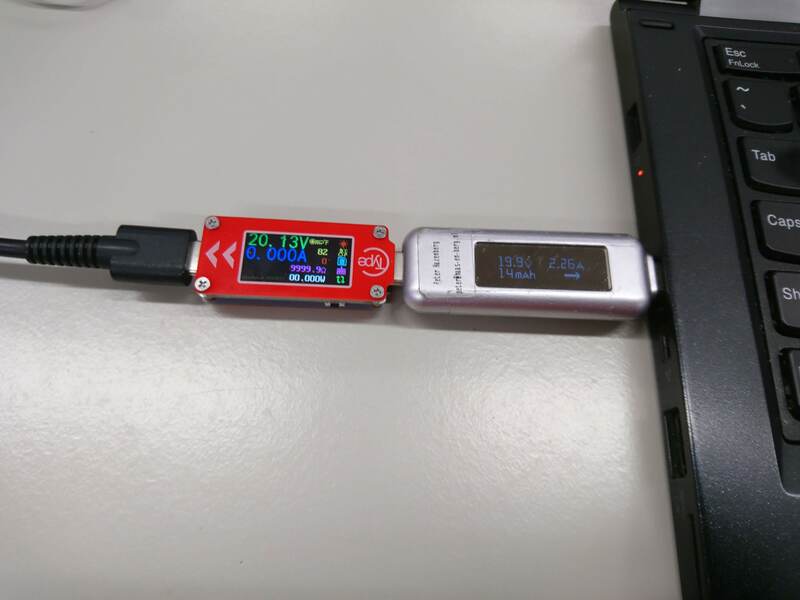 Taking a look at a WITRN-X-MFi USB Power Monitor. Just a redneck with a hint of nerd with a YouTube channel, a PayPal account and a credit card messing around with nifty meters mostly testing powerbanks, cables and chargers. Not an expert, but I play one on YouTube.